Tailored, contemporary style can be yours with the Hudson Counter stools. 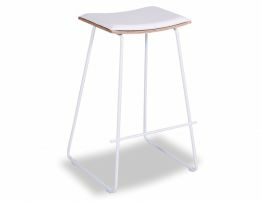 The White Oak Padded Yvonne Potter Replica Counter Stool w White Frame is a simple and chic designer bar stool and imparts a modern, tailored finish wherever you put it. 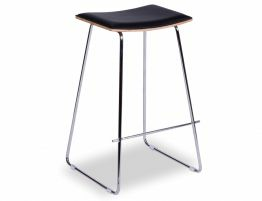 Give your kitchen a quick, easy, affordable update with our modern designer inspired bar stools. 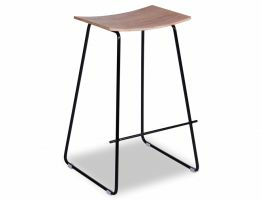 The gorgeous and practical Hudson barstool offers the best of modern style. 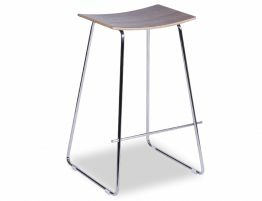 A simple yet impeccable design, the best available materials and high end construction. 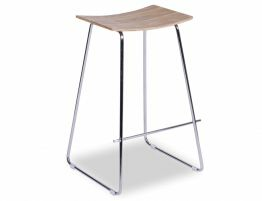 Our cleanly style, modern barstool blends a curved wood padded seat with a white powder coat painted steel frame.